Filling up the petrol tank of your vehicle is as imperative as the weekly grocery shop, and the cost is just as unavoidable. The expense and ever-fluctuating cost of petrol and diesel is beyond our control and can be quite frustrating, and with an average of 47% of households in Britain owning two cars, refuelling regularly can have quite a hefty effect on your wallet. Unfortunately, cars that run on air or water haven’t come about just yet, but we’ve come up with four tips which can help to significantly cut costs spent on fuel where possible. Failing to check and maintain your tyre pressure could have more of an effect on your fuel consumption than you may have thought. The RAC claims that well maintained tyres that are inflated to the correct tyre pressure can save on fuel consumption by 2%. 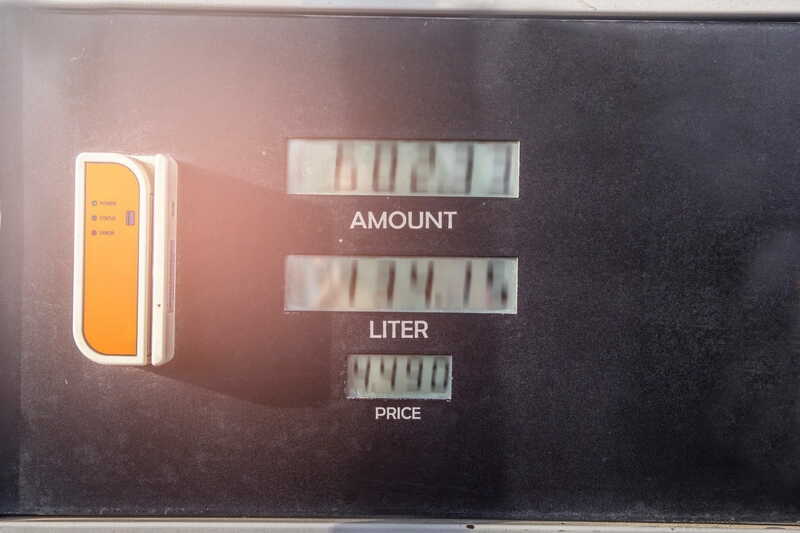 A VW Golf 1.6L TDI has a 50-litre fuel tank and with diesel prices currently around £1.20 per litre, it would cost an estimate of £60 for a full tank of petrol. By saving 2% on your fuel consumption, you would be saving £1.20 – therefore failing to keep your tyres correctly inflated could result in wasting a litre of fuel every time you fill up! Remember: over-inflating your tyres can also pose the threat of reducing the cars grip to the road. Check for the appropriate tyre pressure for your car in its manual or on the inside of the driver’s door. As obvious as this may sound, avoiding travelling at busy peak periods can save you from refuelling as regularly, however we appreciate driving during rush hour may be unavoidable, especially if your route to work requires driving on motorways or busy main roads. Sustained periods of acceleration then deceleration is also highly detrimental to your fuel consumption. Try planning your journey by heading out half an hour before or after traffic times, or by using less busy routes such as back roads that are less congested. If you have a weekend full of errands to run or it’s your turn to do the school run – save fuel by making one round trip rather than multiple. This helps you to get more mileage for your money as your engine works at its most efficient when it’s warm, whereas running on a cold engine can increase fuel consumption despite the fact you may be driving the same number of miles. Top tip: Use the radio, phone updates or live traffic reports to help keep you informed of heavy traffic, any accidents and the best route to use for your journey. By removing excess weight from your vehicle, you may be surprised by just how much fuel you can save. If your car has roof bars or bike racks that you don’t use on a daily basis, remove them so your car is lighter. An empty roof rack on your vehicle can cost you both money and the inconvenience of regularly refuelling as it can increase your fuel consumption. Did you know? By removing 100 pounds (45kg) of weight from your vehicle, your fuel consumption will improve by 2%. It’s a given that the better condition your vehicle’s in, the better it will perform. It’s important to regularly service your vehicle to ensure that it meets the requirements to drive safely on the roads. When finding your car is not running as smoothly as it once did, or if noticing unfamiliar lights appearing on your dashboard, it may indicate that something may not be right. By taking your car to a mechanic to keep up with oil changes, engine and tyre checks in line with the service schedule of your vehicle, you can dramatically improve your fuel economy and therefore save yourself some money.